With US President Donald J. Trump scheduled to announce whether he will uphold the international community’s nuclear agreement on Iran and Iraqi elections slated for the same day, May 12 is gearing up to be a day that could shape the future of the Middle East. May 12’s significance lies in what it will mean for the immediate course of the debilitating rivalry between Saudi Arabia and Iran that has played out in proxy wars across the region and played politics with the differences that divide Sunni and Shiite Muslims. Underlying the drama of May 12 is a more fundamental shift in the approach of both Saudi Sunni Muslim leaders and Iraqi Shiite and Sunni politicians towards the region’s sectarian divide that may provide a first sign of light at the end of the Middle East’s tunnel of violence, civil war, and ethnic and religious strife. Moreover, reduced sectarian tension lays bare the core struggle for regional power between Saudi Arabia by lifting the veil of religious dispute in which it was often shrouded. That struggle could intensify if Mr. Trump decides to increase pressure on Iran to compromise on issues like its ballistic missile program and regional proxies. In a sign of the times, Iraqi politicians campaigning for the parliamentary election have been forging cross-sectarian alliances and wooing votes across the country irrespective of past history and religious allegiance. Iraq’s largest Sunni Islamist political group, the Iraqi Islamic Party, a driving force behind the Sunni protest movement in 2013 that was hijacked by the Islamic State, has built an alliance with Shiite Prime Minister Haider al-Abadi. Last week, Mr. Abadi became the first Shiite leader to campaign in a wholly Sunni Muslim part of Iraq when he travelled to Anbar province, 110 kilometres west of Baghdad. “People must feel part of this country and like they are citizens of this country. At the end of the day, we must deliver to the people,” Mr. Abadi said earlier, insisting that Iraq needs to forge an identity that is inclusive in terms of nationhood as well as religious and tribal affinity. The effort to break down sectarian fault lines that have dominated Iraq since the 2003 US invasion that toppled the Sunni minority regime of Saddam Hussein purveys the walk-up to the election. Shiite-led electoral groupings are hopeful that they will see record-breaking gains in Sunni areas. Sunni politicians who fled the country because of sectarian violence have returned to compete in the poll. Putting deep-seated distrust definitively to bed is likely to be a lengthy process, but the initial building of bridges was helped by Saudi efforts to forge close diplomatic, economic and cultural ties with Iraq after refusing to engage with the Shiite-majority country for more than a decade. Saudi government moves to improve relations with the kingdom’s own long discriminated Shiite minority served, moreover, as evidence that Sunni Muslim attitudes may be changing. Saudi crown prince Mohammed bin Salman’s Iraqi charm offensive as well as his moves to turn a page with his own Shiites is as much an effort to project himself as a reformer as it is a bid to counter Iran and its regional influence. Trends in Iraq and Saudi Arabia are in some ways mirror images of one another. Leaders in both countries are pushing nationalism rather than sectarianism. The rapprochement between Iraq and Syria and the Saudi government’s overtures to Shiites who populate its oil-rich Eastern Province “mark a turn away from the years of pervasive anti-Shia sentiment in both domestic and regional politics and toward a more assertive nationalism,” said Gulf scholar Kristin Smith Diwan. So far, Prince Mohammed’s moves and overtures by Mr. Abadi and Iraqi politicians appear to be producing results. 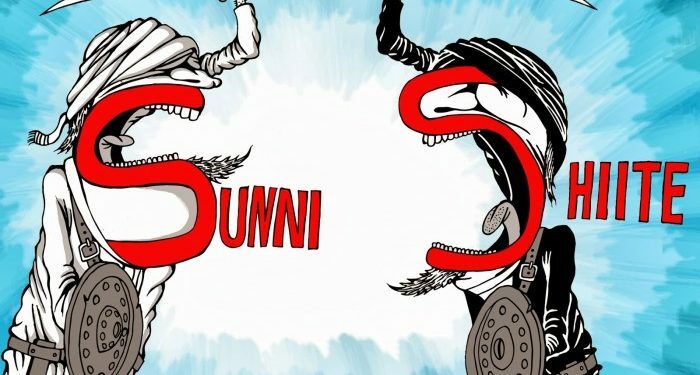 Iraqi Sunni Muslim leaders are reconciling themselves to the fact that the days of sectarian minority rule are over and that they will have to carve out a space for themselves in a political landscape that is dominated by fractured Shiite political forces. Similarly, Saudi Shiite voices have welcomed Prince Mohammed’s insistence in an interview with The Atlantic in which he acknowledged that Saudi Arabia was home to both Sunnis and Shiites and efforts to include Shiites in his top-down reforms. “You will find a Shiite in the cabinet, you will find Shiites in government, the most important university in Saudi Arabia is headed by a Shiite. So we believe that we are a mix of Muslim schools and sects, Prince Mohammed said. To be sure, Saudi overtures are built on the brutal crushing of Shiite protests in the Eastern Province and the destruction of large parts of the town of Awamiyah, that was home to Nimr al-Nimr, the opposition Shiite religious scholar who was executed in early 2016. 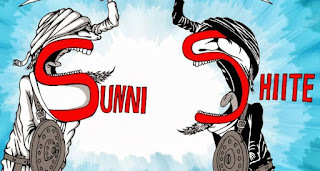 While they are designed to eliminate the adversarial tone in relations between the sects and increase social and economic opportunity, change does not involve giving Shiites a political say of their own as much as Sunnis are not being granted the option of political participation. Yet, a growing number of Saudi Shiites, like many Iraqi Sunnis, are coming to grips with the fact that their best hope is to row with the oars that they have; in other words, in Saudi Arabia make the best of opportunities granted by an absolute monarch and in Iraq accept a minority role. Taken together, the developments in Saudi Arabia and Iraq as well as in relations between the two countries not only help reduce sectarian tension but also challenge Shiite Iran’s projection of itself as a revolutionary force that represents all Muslims rather than just a sect. No doubt, both Saudi Arabia and Iraq have a long way to go in rebuilding confidence between sectarian communities and ensuring that minorities truly feel that they have a stake in their nation. Nevertheless, efforts to reduce the sectarian sting take on added significance as Mr. Trump could fuel the fires of controversy, if not conflict, by walking away from the Iran nuclear agreement on May 12. Depending on what Mr. Trump does, May 12 could prove to be a watershed in the history of the Middle East. If he walks away, the question is whether he simply caters to his domestic base by refusing to certify to the US Congress Iranian compliance with the agreement or seeks to escalate confrontation with the Islamic republic by re-imposing sanctions on Iran.